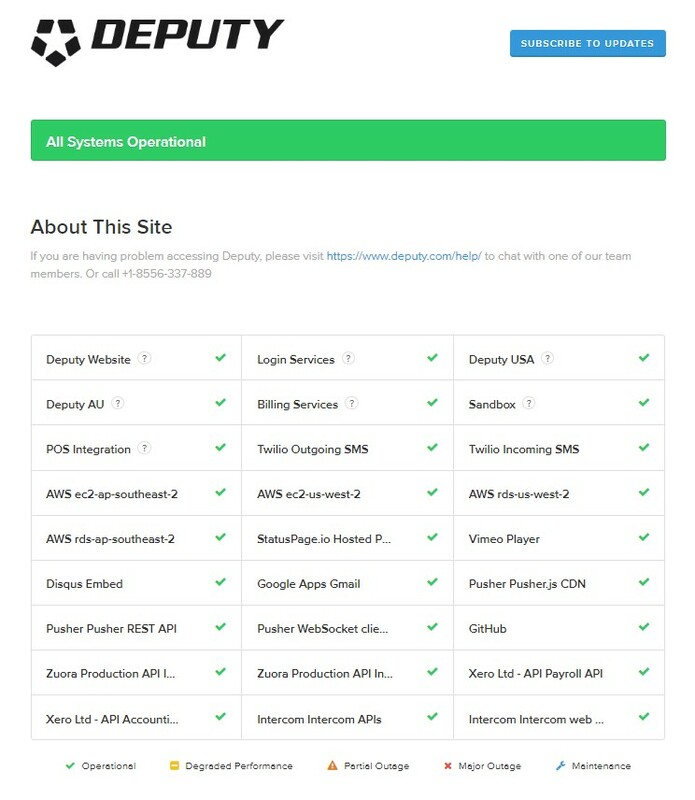 This article shows you how to check if Deputy is currently functioning. There may be times that Deputy is not functioning correctly. If you have performed any troubleshooting steps on your end and things are still not working as intended, the servers in which Deputy is hosted may be experiencing difficulty, leading to slow response time and/or outages. You can see the other online services used by Deputy to pinpoint if a specific function is operational. You can also view other uptime data on this page, and other historical information.